When contemplating on a new kind of hair style, the Daily Makeover is one of the latest online virtual makeovers. 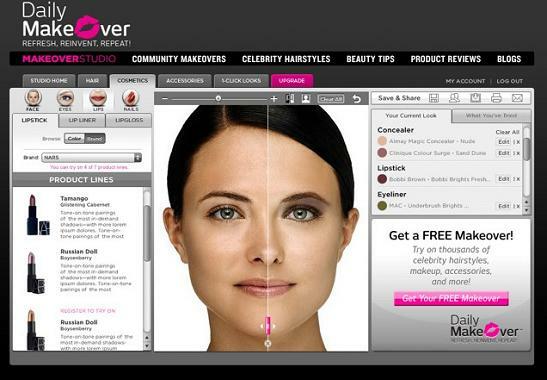 Just upload a picture and with facial recognition mapping, the system lets users try out new cosmetics and hair styles. The system is working with companies such as Avon so users can try on actual products to see how they work on their face "in real life" without having to interact with people.